R&D tax credits are a great opportunity for the growing nanotechnology industry. Scientists and engineers are regularly trying to manipulate the unique properties of matter at the nanoscale to develop new capabilities with potential applications across all fields of science, engineering, technology and medicine. Nanotechnology is the science and technology used to build devices or materials constructed on scales as small as individual atoms or molecules. A nanometer is one-billionth of a meter. To give you an idea of just how small that is, the diameter of one piece of human hair is approximately 80,000 nanometers. Nanotechnology has the potential to increase the efficiency of energy consumption, help clean the environment and solve major health problems across the world. It can also be used in manufacturing production at significantly reduced costs. Nanotechnology products are smaller, cheaper and lighter, as well as more functional and require less energy and fewer raw materials to manufacture. As efforts in the various areas of nanoscale science and technology continue to grow, it is certain that many new materials, properties and applications will be discovered. Given the promise of nanotechnology, the race is on to harness its potential profits. Many nanotechnology companies are unaware of the federal tax credit opportunity available for eligible research and development activities they are performing in their normal day to day tasks. Research and development tax credits target companies that are developing new or improved products or processes. First enacted into law in 1981 as a way to keep companies in the United States competitive in the global market, the R&D tax credit is one of the most lucrative tax credits available to taxpaying employers and shareholders. Eligible costs include employee wages, cost of supplies and cost of testing. A company can also claim the credit if the qualified R&D activity was completed by outside contractors and should also take a look at the supply costs associated with their activities. These expenditures (QREs) could boost the credit. To learn more about the benefits of R&D credits, read some of our success stories. Taking advantage of federal as well as state tax credits allows companies to recoup some of the daily expenses for their R&D activities. A four-part test determines which activities constitute qualified research. 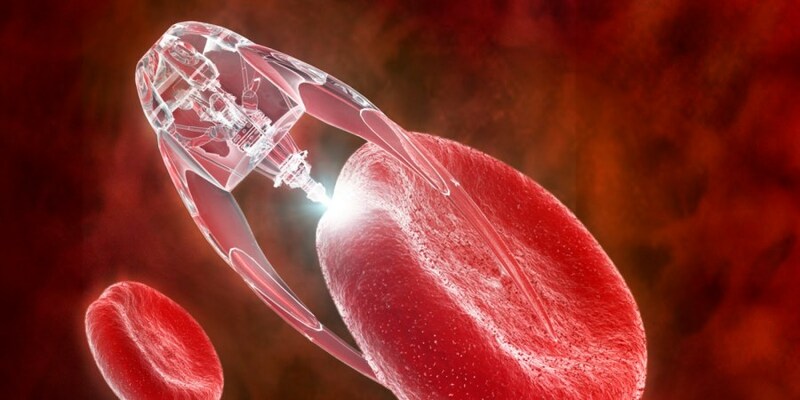 Nanotechnology is predicted to have an enormous economic impact and can revolutionize life as we know it. Nanoscience and nanotechnology are a priority field for today’s innovation leaders. Nanoparticles have become part of our daily life. They are found in clothing, tires and fertilizers for instance. R&D tax credits are available for everyday tasks in nanotechnolgy across many industries. Nano-structured paints and coatings, cosmetic face creams or sunscreens and manufacturing companies using nano for automation are just a few industries utilizing nanoscience. All of these industries and many others require constant research and development in order to keep up with the competitive market. R&D tax credits should not be overlooked by any industry that is performing daily research for their nanotech business, as they could be losing valuable profits. R&D tax credits represent a money-saving opportunity overlooked by countless companies, simply because they are not aware the tax credit is available to them, or they misunderstand its intent. Viewing qualifying activities in terms of new and improved designs, concepts and processes, businesses will likely find that many of their daily activities will be eligible for valuable R&D tax credits that they can use to reinvest in their business. Companies utilizing nanotechnology should not only take advantage of the federal R&D tax credits, but also investigate if their state is one of the many states that offer tax benefits as a means for promoting growth and development as well as creating new jobs. A qualified R&D credit professional from Tax Point Advisors can conduct a thorough R&D tax credit study to assess which activities meet the IRS’ four-part test to qualify for the credits. Tax Point Advisors provides R&D tax credit study services and other specialty tax services to CPA firms and their clients throughout the U.S. To learn more about R&D tax credits from the experts at Tax Point Advisors, please call us at (800) 260-4138 or please leave us a message below.